Colon cancer is cancer of the large intestine or colon. Colon cancer is the second leading cause of cancer death in our country. Most all colon cancers start out as small polyps or bumps in the lining of the colon. These polyps are usually asymptomatic until they progress to a late stage. When caught early and removed as a colon polyp they are usually always curable. If they are left undetected in place and allowed to progress to colon cancer they frequently are not curable. This is why early detection and removal of polyps is important. WHAT ARE SOME OF THE SYMPTOMS OF COLON CANCER? Symptoms of colon cancer very widely and for most patients it is completely asymptomatic. Some of the symptoms to watch for include things like a change in your bowel habits or change in the consistency of your stool; rectal bleeding or blood in your stool; unexplained weight loss; abdominal discomfort or pain and even symptoms like new onset weakness or fatigue. If you are experiencing any of these symptoms or know someone who is, please contact your physician or our office to be evaluated for colon cancer. WHAT ARE SOME OF THE CAUSES OF COLON CANCER? Nobody knows for sure what causes colon cancer. We do know that most cancers of the colon start out as small clumps of precancerous tissue called colon polyps. These grow on the inside the lining of the colon and takes several years to develop. In some cases there is a family history of colon cancer or a genetic risk for colon cancer. In some cases it is completely sporadic. Once a polyp develops, if left undetected and not removed, it may have the potential to grow into a colon cancer. There are many things that increase your risk of colon polyps and colon cancer. We know that age is one of those factors which is why it’s recommended that you begin screening for colon cancer at least by age 50. I had my first colonoscopy at age 40. Some patients require screening at a younger age based on other factors. Having a personal history of prior colon polyps or an inflammatory condition like Crohn’s or ulcerative colitis also increases your risk of colon cancer. There have been studies that suggest a high fat diet and a sedentary lifestyle also increase your risk of colon cancer. There is also an increased risk if you are overweight, if you smoke or if you have a history of heavy alcohol use. If you have any questions about your risk for colon cancer and at what age you should begin colon cancer screening please contact your physician or my office. WHAT CAN I DO TO HELP PREVENT COLON CANCER IN SAN ANTONIO TX? The best thing you can do to prevent colon cancer is get screened for colon polyps and have them removed before they have a chance to grow. Most people should begin screening at age 50. Some people with an increased risk, such as a family history of colon cancer, should begin screening at an earlier age. There are several ways to screen for colon cancer. Your stool can be tested annually for evidence of blood, there are x-ray studies which can be done and there is colonoscopy. 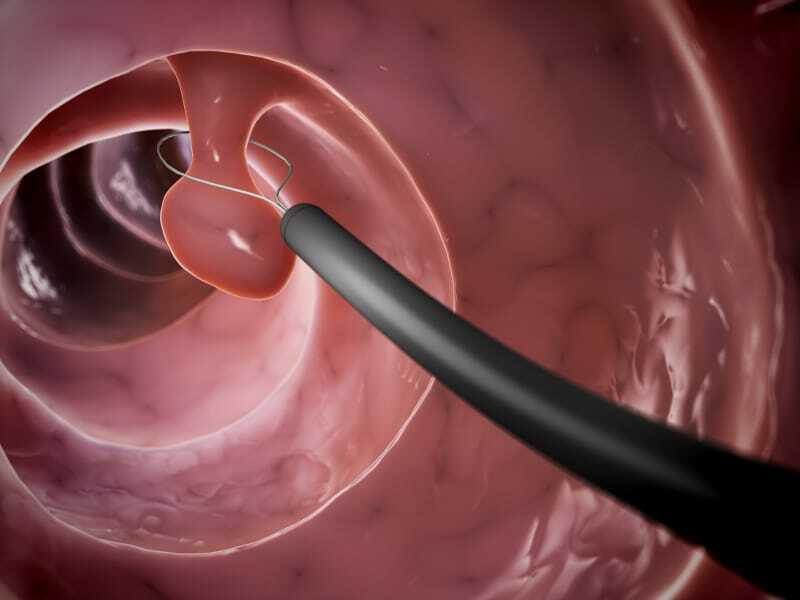 Colonoscopy is passage of a small flexible scope into your colon to detect and remove polyps. You should discuss these options with your physician to see which is best for you. We also know that a healthy diet and lifestyle can make a difference. Try to maintain a healthy weight. Get on a consistent exercise program and avoid high fat foods while increasing your intake of fruits, vegetables and grains. Smoking cessation and limiting the amount of alcohol intake can also make a difference. If you have questions about how to obtain these goals please speak your physician or I would be happy to discuss them with you as well. Dr. Havranek is an expert in colonoscopy and colon cancer screening and if this is a procedure that you or your physician feels you need please contact our office and we will help you make all the arrangements and answer any questions you may have. HOW DO I SCHEDULE A COLONOSCOPY IN SAN ANTONIO TX? Scheduling of a colonoscopy in San Antonio with my office is easy. No prior office visit is required. There are several ways to accomplish this. You can speak to your primary care physician and have them send us a request form and my office will contact you to make the arrangements. Another option is to call my office directly at 210-615-8308 and we will talk you through the process over the phone and help to make all arrangements. Another way is by clicking the “request an appointment” link below and filling in the appropriate information. My office will contact you within one business day to make the arrangements. We will also help you deal with and answer all questions regarding your insurance coverage.